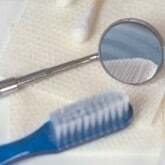 DentalPlans.com offers you an easy, convenient way to find a dentist in Woodstock, GA in our extensive dentist directory. Basically, by entering your ZIP code, you can compare the discount dental plans in Woodstock and view a list of participating dentists. Decide on the right plan for your needs and take advantage of dental care discounts at dentists like Dr. Timothy N Byrd. After signing up to the right discount dental plan, visit Dr. Timothy N Byrd or any other participating Woodstock dentist to save money on General Dentistry and more. Our individual and family discount dental plans start at $79.95 per year and $129.95 per year respectively, and can provide you with significant savings on most dental care procedures like on General Dentistry and more. If you are looking for an affordable dentist in your area, DentalPlans.com features the most dental care providers in combined networks anywhere! So if you are looking to save money on braces or cosmetic dentistry treatments like teeth whitening, bonding, and veneers, you can easily search our huge dentist directory to find Woodstock dentists that offer discounts on General Dentistry and more.